We’re programmed for perceptions. Perception stems from Subjective interpretation that strikes us all. “People don’t think like scientists; they think like lawyers. They hold the belief they want to believe and then they recruit anything they can to support it. A psychologist Peter Ditto, who studies judgment and decision making at the University of California, Irvine. Dittos, studies show that the motivated reasoning, reflects the tendency to filter facts to support our pre-existing belief system. Which is the standard way we process information. The problem is that the media has more to gain from installing the law enforcements perception of guilt, verses advocating innocence, or even the weighting of facts. The media, and the law enforcement works togather to persuade society, and or/ a jury of peers to perceive guilt beforehand. In which, generally “a jury of your peers” becomes a false statement. I was twenty years of age when facing trial. Yet, during jury selection I notice a significant difference in age of the jury members. This picture was posted in the stations, on the bulletin boards to paint a false PERCEPTION of me and my conduct. So world, I ask you what was the motive behind such deception? Was this a subliminal message for me to be killed upon arrest? Or was this an intentional misrepresentation of me in order to obtain a firm conviction? 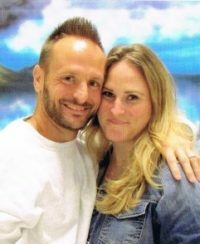 Do you think that this helped me receive a fair trial, or a decent plea agreement? Where did they get this KILLER from? *Please feel free to contact me with your thoughts, comments, advice and/or etc. 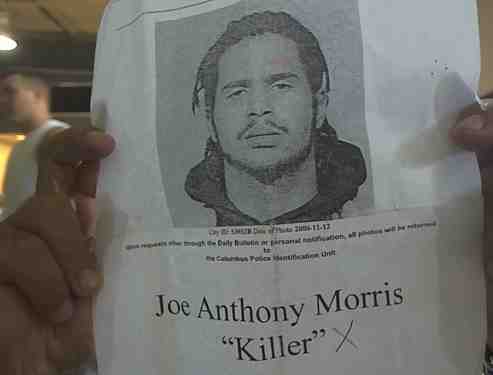 Write to: Joe A. Morris #a426803 at North Central Correctional Complex (N.C.C.C) P.O. BOX 1812 Marion, Ohio 43301. Thank you..